The Rossies will face Tyrone in Croke Park on 27 August. Rossies: ready for another day out in Croke Park (file photo). ROSCOMMON PUT AN end to Kerry’s hopes of an All-Ireland U17 and minor double with a deserved five-point win over the Kingdom in Ennis this afternoon. Paul Carey and Peter Gillooly led the way for the Rossies combining for 2-11 in total and they used their great physique and tenacity to great effect in disrupting Kerry’s hopes of going in front on the scoreboard. Michael Kelliher had scored a fine individual goal for Kerry in the eighth minute for their first score, levelling the game at 1-0 to 0-3, but Carey converted a penalty in the 13th minute to put Roscommon back in control. Some good Kerry defending prevented him scoring a second as Roscommon went in leading by 1-6 to 1-5 at half-time. Roscommon goalkeeper Michael O’Donnell was alert to a chance for Kerry’s Micheal Devlin in the 47th minute that could have swung the game in the Munster side’s way despite Franz Sauerland levelling the game at 1-11 apiece. Carey put Roscommon back in front again however and the decisive score came in the first minute of injury time from Gillooly as he was alert to a break and scored Roscommon’s second goal. Kerry’s minor contingent will have to pick themselves up for their All-Ireland semi-final with Cavan next Sunday while Roscommon can look forward to an All-Ireland final with Tyrone on 27 August in Croke Park. Scorers for Roscommon: Paul Carey (1-6), Peter Gillooly (1-5, 2f), Ciaran Lawless (0-2), Ciaran Sugrue, Andrew Lyons (0-1 each). Scorers for Kerry: Donal O’Sullivan (0-7, 6f), Michael Kelliher (1-0), Eddie Horan (0-2, 1f), Luka Brosnan, Michael Devlin, Daire Cleary, Franz Sauerland (0-1 each). 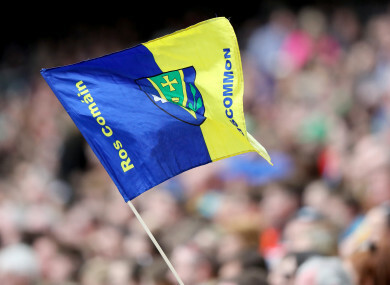 Email “Roscommon book their place in All-Ireland U17 final with five-point win over Kerry ”. Feedback on “Roscommon book their place in All-Ireland U17 final with five-point win over Kerry ”.